Pure worship, freedom, justice, piety, bravery, and all other humane characteristics manifested in Imam Ali (A.S.) and his progeny were a result of true monotheism, absolute obedience and sincere attention to Allah (SWT). In deciding between options, the Holy Imams (A.S.) always chose the option most preferred by Allah (SWT). The best example of their pure intentions and obedience toward Allah (SWT) can be seen in the rise of Imam Hussain (A.S.) against Yazid from the Umayyad Dynasty: a religious movement and a rise against tyranny. When Imam Hussain (A.S.) migrated from Medina to Mecca and from thereon decided to move to Iraq, some of the Islamic scholars became concerned. They remembered the prophecies made by the Messenger of Allah about his grandson, and thus knew that Imam Hussain (A.S.) was moving towards his martyrdom. Observing the situation of the society and the fear within people from the Umayyad dynasty, the scholars had no hope in this mission of Imam Hussain (A.S.). They remembered how the people of Kufa had betrayed Amir al-Mu’minin and his son, Imam Hassan ibn Ali (A.S.) hence, the future was clear. In their certainty that Imam Hussain (A.S.) would be martyred great people like Ibn Abbas have said: “We didn’t doubt that Hussain (A.S.) was going to be killed in Karbala.”(2) In another statement Farazdaq sent a warning message to Imam Hussain (A.S.): “Their hearts are with you but their swords are against you.”(3) The above clearly indicates that although people knew the right was with Imam Hussain (A.S.), their fear from the Umayyad Dynasty and weak hearts prevented them from standing up for truth. Hence, Hussain (A.S.) was not seeking political power, wealth, or the like. He was obeying Allah (SWT) by rejecting to pay allegiance to Yazid. He was submissive to Allah’s (SWT) will to leave Medina and Mecca; and he was obedient to rise. 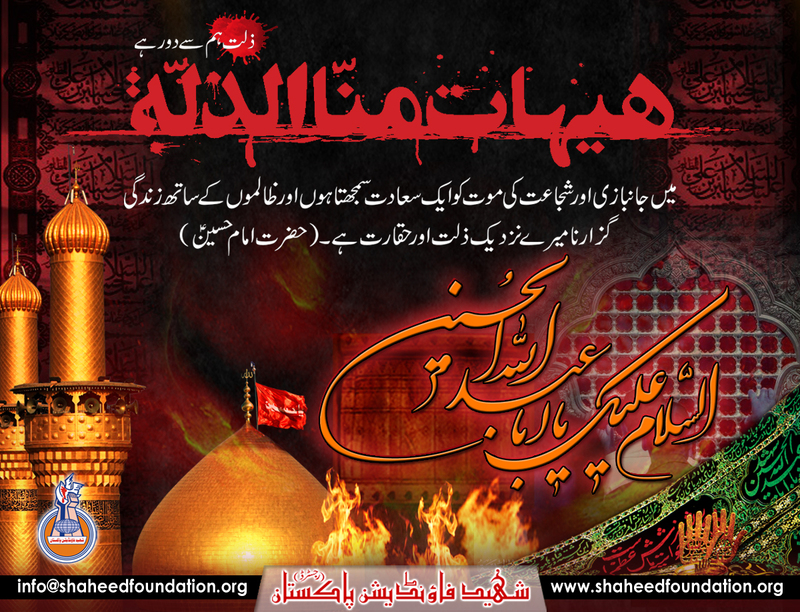 Therefore, Hussain’s (A.S.) intention was only to please Allah (SWT) and to accomplish his duty.